In November, in Mexico City, there is a parade of alebrijes, that are left a few days exposed on street Álvaro Obregón. Alebrijes are fantastic figures made of cardboard and decorated with bright colors. 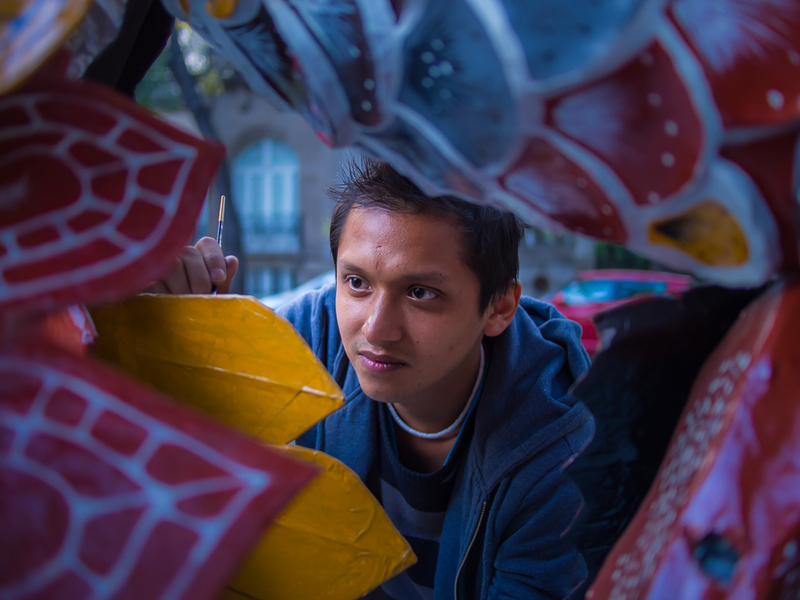 While we were watching the specimens exposed in the street, in the open, I noticed that some boys were carefully restoring the tiny issues that the rain had caused in his alebrije. I moved with respect to one of those guys whose face I peeked through his work and asked permission to take a photograph. He was very impressed by the picture and asked me to add it to his Facebook page, which I did as soon as I arrived at the hotel. 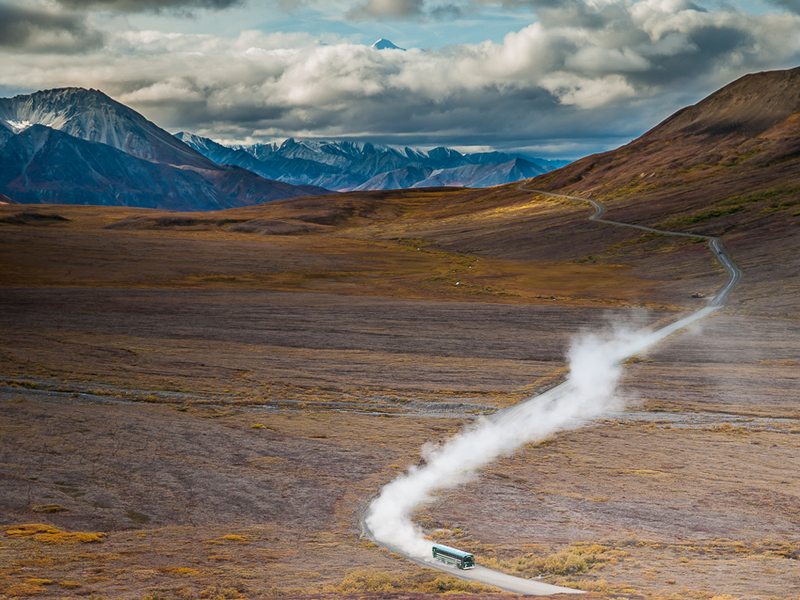 Denali National Park in Alaska, is impressive. And much more in the fall. But it is not easy to capture the grandeur of this natural area. This time I was lucky as we stood admiring the summit of Mount Denali protruding from between the clouds when a park bus happened to pass. The road is unpaved and I wanted to reflect the dust they rise, that inevitably ends on our photographic equipment. The cloudy sky and sun/shadow areas help give drama to the scene of one of the wildest parks in USA. 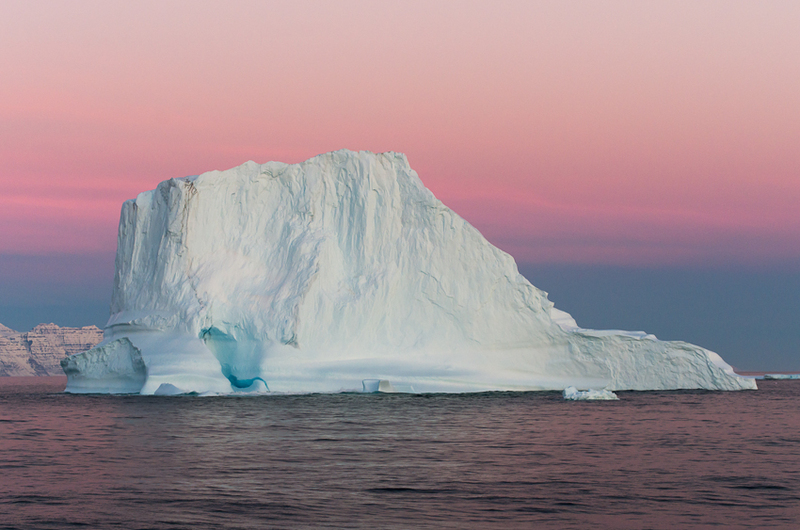 Since my first trip to the Arctic I've wanted to see a sunrise like this: an iceberg on a pink sky. But I never had luck. Until now. In late September, in East Greenland, on the parallel 70 ° N, we enjoyed a sunrise as we ever dreamed. Although it was hard to concentrate because right behind us there was a polar bear, but in the end we could make some interesting photos. Sometimes you don't need to go to faraway places to photograph, just go out in the streets of our own city to find interesting people or places that you see for the first time. This time we present an image made ​​during a walk with friends in the downtown of Madrid. 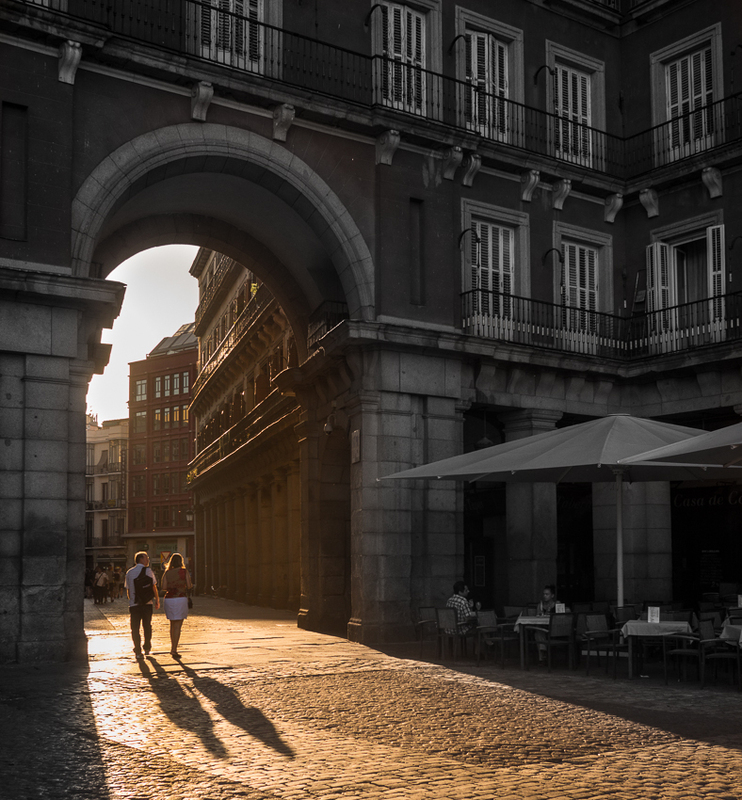 Evening light appeared through one of the doors of the Plaza Mayor, leaving a trail of golden light and long shadows. The hardest part was waiting for people to stop walking in front of us because this place is very busy with tourists. 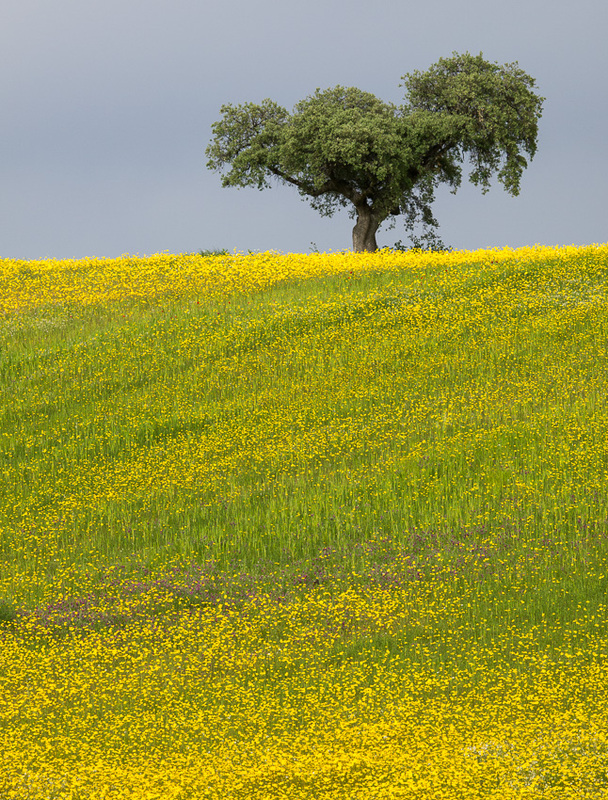 Spring this year has been exuberant in Spain: it has rained a lot and the fields are filled with flowers. This time I chose a scene from the province of Toledo, just before it started raining again. 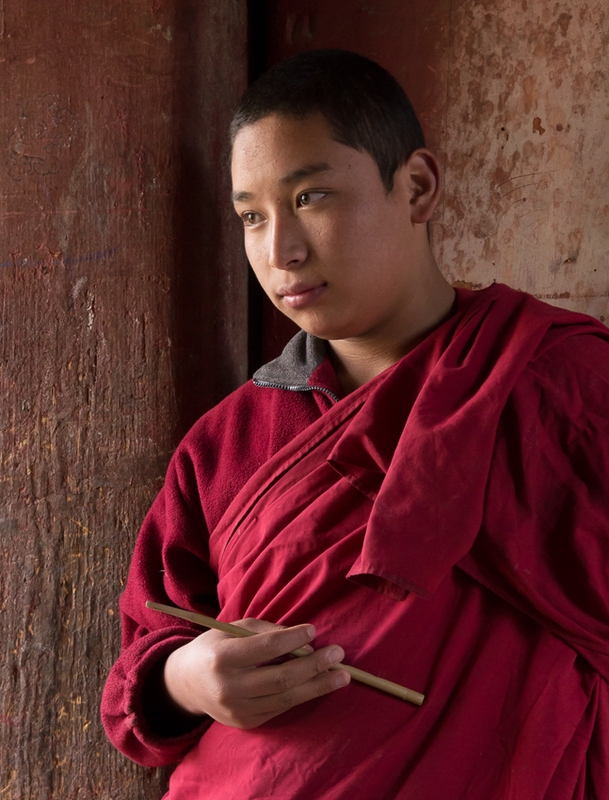 In a small monastery in the center of Bhutan we found this young monk that looked calm and peaceful and asked if he wanted to pose for us. Very kindly he accepted, suffering stoically our photographic attack, almost like absent. What is clamped between the fingers is a small flute: after the photo session he began to play it with a remarkable mastery. What caught my attention was that the sound did not cease when he took breath, something similar to what happens with bagpipes. From this picture I like the feeling of tranquility and peacefulness that follows, and the memory of the sound of the flute on a remote monastery in Bhutan. One of the most amazing experiences of our trip to Greenland in 2005 was the glacier Qaleragdlit campout. It is an isolated place, where you arrive by boat after several hours of journey. We stayed 4 days sleeping in tents, in a rainy, cold environment, but of extraordinary beauty. The boat in the photograph is the one we used to reach this place. As we moved all the material to continue our journey, a piece of deep blue ice detached from the glacier front was moving slowly toward the boat; just at the time when it got close enough to the boat is when we took this photograph. 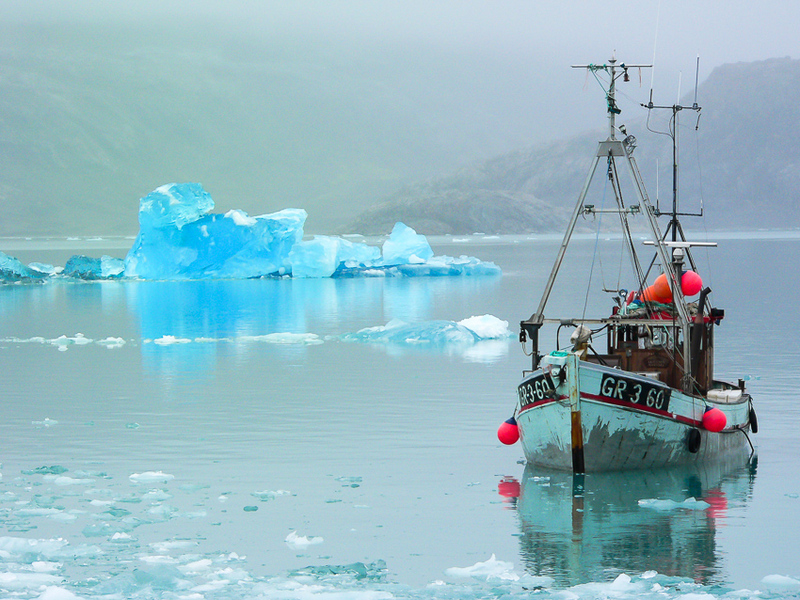 For us reflects our personal experience in that place: fog, ice, cold, cruise boat, incredible colors. Undoubtedly the greatest show of nature is the polar auroras. 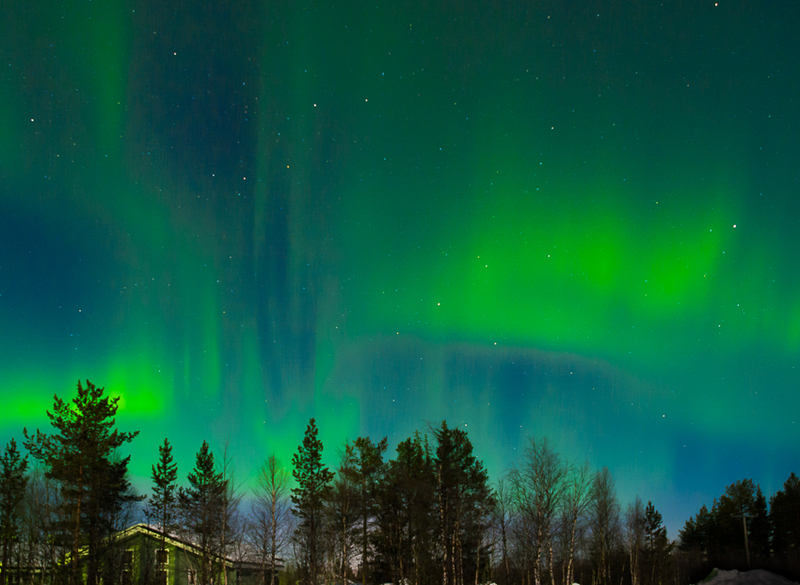 In our last ski trip to Lapland we were in the small village of Äkäslompolon, in a cabin away from the city center. It was a suitable place to see auroras, but despite all the nights were clear and the ideal conditions, we could only see it one day. But it was spectacular. Despite intense sleep and cold, we were still, amazed by this phenomenon as mysterious and beautiful all at once. Camera Panasonic GH-2, Zuiko 12-60/f2.8-4.0. ISO 800, f/2.8, 20 "
Travel photography would not be complete without photos of people. And children are one of the most attractive objectives, perhaps because of its spontaneity and liveliness. 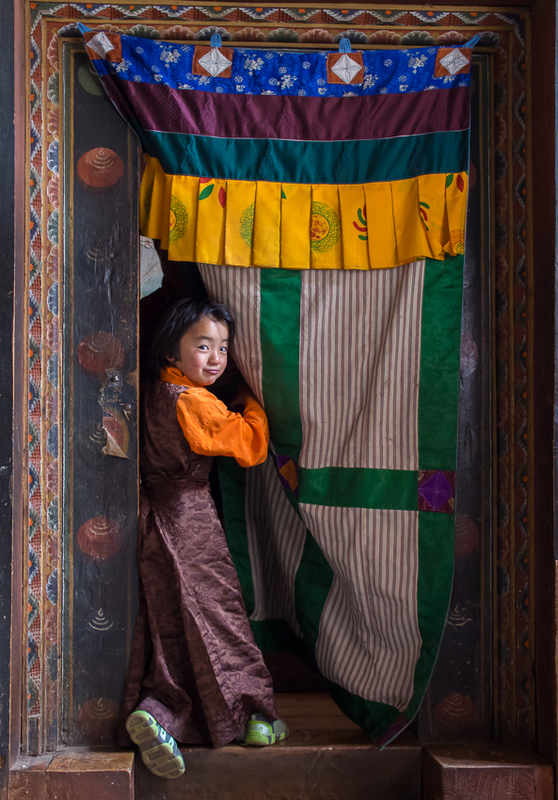 This time we were in a monastery in Bhutan, grabbing shoes to enter the main room, where we saw that a girl was ready to get out of that room. Seeing us there, occidental people with cameras, changed her mind and went back into the room, hidden by the curtain. But his curiosity was as big as her shyness, and she was kept going in and out, playing with the curtain. In the middle of that game I could make some photos, and this is what we like most. One of the most relevant features of Yellowstone is steam: is the first thing you see from the distance and what prevents you from seeing the landscape. This time we were coming to Mammoth Hot Spring area, the last day of the trip, a cold February day at sunset. 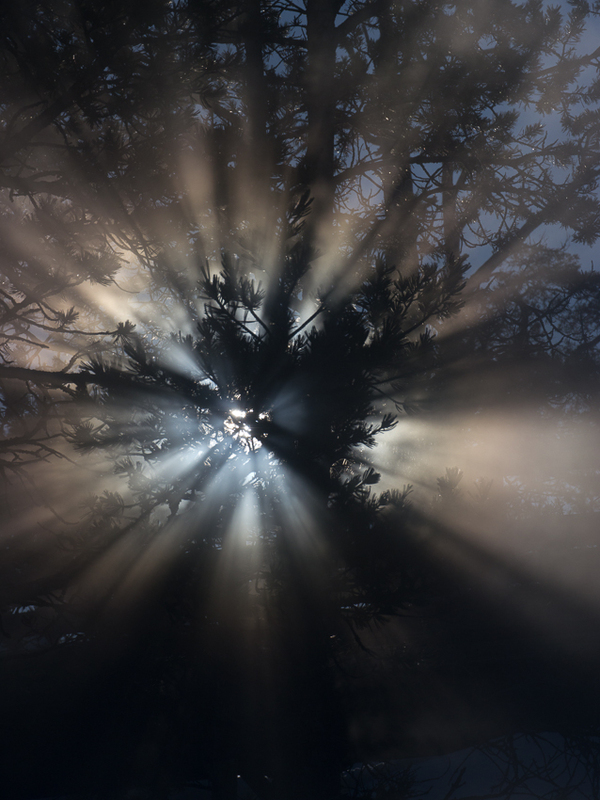 The sun was low and I tried to find an attractive image of the light through steam. Our guide Bob Harvey drew my attention on this tree and I liked the image I saw. Then I grabbed the camera and found a composition in whith good sunlight through the steam. The image was constantly changing as the wind dissipated or condensed steam at will. With a little patience I got the picture I had visualized. One attraction of Antarctica is to visit the places where lived and worked scientists from all countries, in harsh conditions, especially in the first half of the twentieth century. This time we were at the British Antarctic Survey's Stonington Station base or E. Stonington, which was occupied by 6-17 men between 1946-50, 1958-59 and 1960-75. This base is below the Antarctic Circle, in the parallel 68 º S.
Walking around the outside of the old building we found a rusted cans of grease, maybe for lighting or as food. 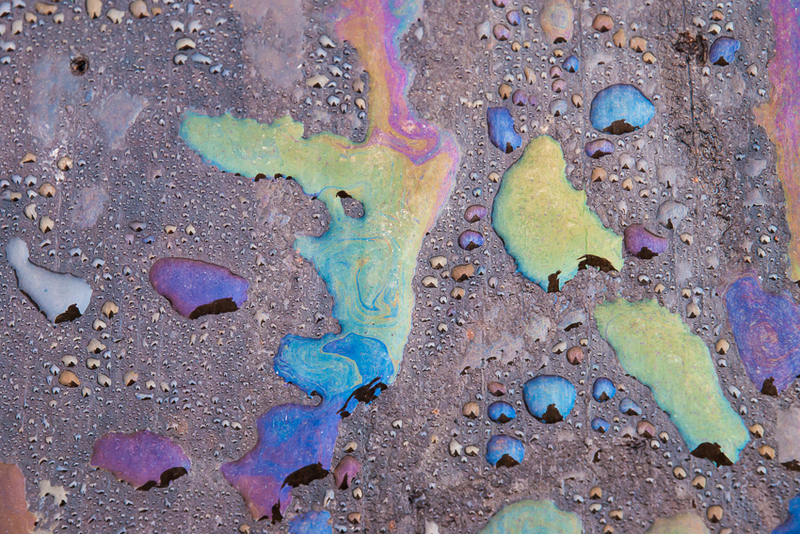 That fat spattered wooden base where the cans were, offering a curious multicolor spectacle. Approaching from above, very close, we obtained an abstract image of shapes and colors, which contrasts sharply with the white, monotonous environment of that place. I was working the penguins, in calm, with my tripod, a short tele, f/11, 1/100, perfect. Then I hear a roar to my left: looking in that direction I see a male elephant seal that stand up and begins to roar like crazy. I wonder what happen and when I look to my right my suspicions are confirmed: another big male get up and responds with more roars. All that protocol usually ends in a brutal collision of two masses of large tonnage. And I was in the middle! I quickly grab the camera and go back a few feet, while they approach to prepare the battle raging. Despite them against the light I start taking pictures, without wasting time on changing the settings of the camera. One lunges at the other with his mouth open -click. The other answered -click. They separate, roar, meet again, and the biggest tip a brutal bite to the neck of his opponent -click, click. The expression of both has tremendous strength: the cry of pain at the hard look of bloodshot eyes. It all ends in a few minutes, and end up back on their steps to recover their initial positions. I, still with a heavy heart, pray that at least one photo has been good. And I'm glad I had the reflexes enough to me to have time away from the battlefield.